It’s 1982 and Steven Spielberg is a hero to children around the world. His previous film, Raiders of the Lost Ark, has proven a huge success, with the matinee thrills and spills of adventurer Indiana Jones allowing him to bounce back to mainstream success after the disappointing wartime comedy 1941. His current film is even bigger. Telling the story of three young siblings and their child-like alien friend, E.T. becomes the biggest blockbuster in the world and encourages comparisons to Walt Disney from critics in awe of the film’s innocence and imagination. The Peter Pan of Hollywood has never soared higher. His success in channelling the wonder of childhood isn’t lost on the director. “I’m still a kid,” he says. “Why?… I guess because I’m socially irresponsible and way down deep I don’t want to look at the world in the eye. Actually, I don’t mind looking the world in the eye, as long as there’s a movie camera between us.” It’s an unusually candid statement for Spielberg, who would later fight against his image as a creator of lightweight, children’s entertainment, and also one that overlooks the darker, dramatic elements of the films he’d made up to that point (including E.T.). But it goes some way to explaining his approach to a very different film over a decade later. 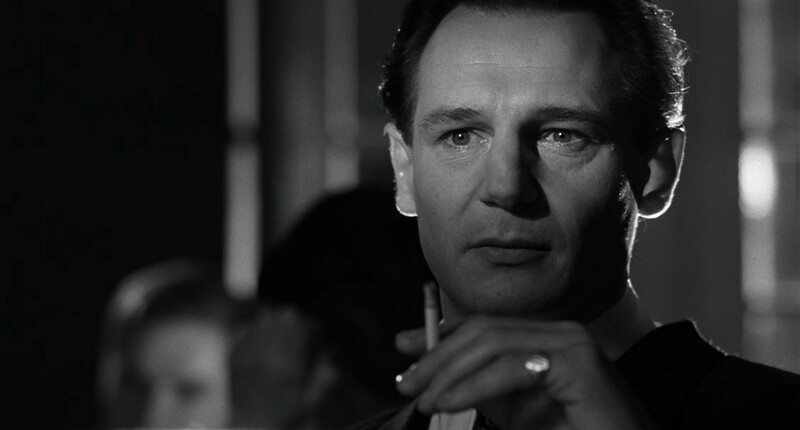 When Schindler’s List was released in 1993, the film’s documentary realism was at the centre of much of the critical debate. Shot in stark black-and-white and largely stripped of the emphatic score, spectacular visual effects and meticulous storyboarding usually associated with Spielberg’s cinema, it was a revelation that, in the words of Harper’s Bazaar critic Wayne Maser, “transformed Hollywood’s greatest showman into its finest artist.” The Academy agreed, finally accepting Spielberg as a ‘serious’ film-maker by awarding him Best Picture and Best Director at the 1994 ceremony. However, while the film is indeed a marked departure for Spielberg, the director doesn’t entirely shed his showman’s skin. 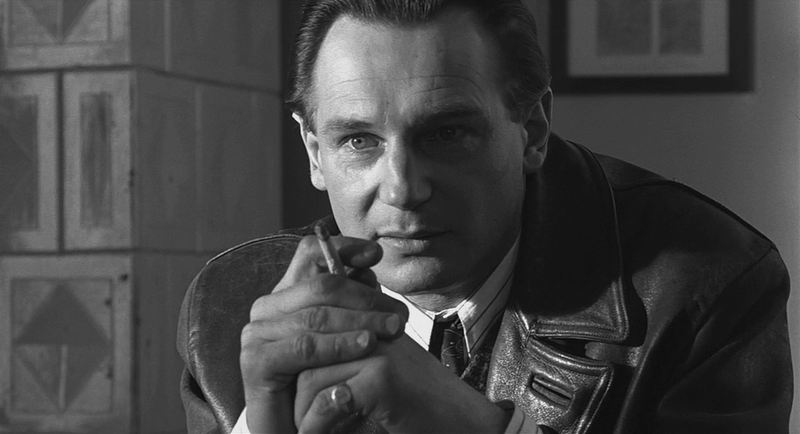 For all its realism, Schindler’s List is also deeply cinematic, with expressionistic flourishes such as the famed ‘Girl in the Red Coat’ sequence speaking of a man who truly grasps cinema’s ability to educate and persuade by dramatising history, not simply documenting it. 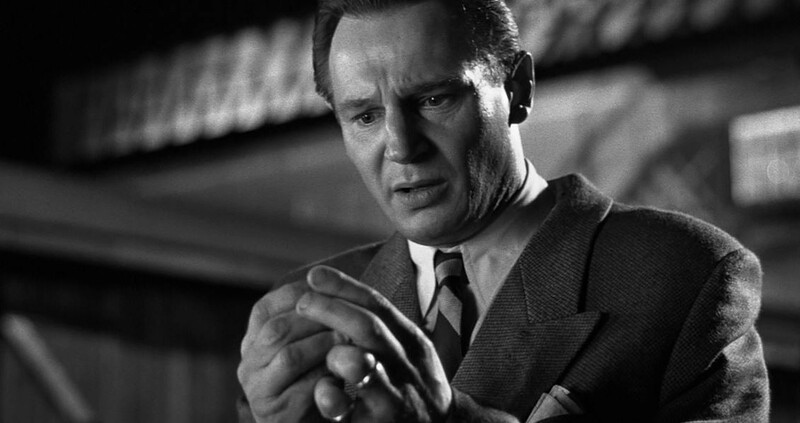 Scenes such as this are used by Spielberg to highlight an emotional truth (in other words, a subjective take on history) as well as a literal one (objective fact), and the tension between the two is at the heart of what makes Schindler’s List such an engrossing, important, and sometimes controversial film. Which is the most honest, Spielberg asks: emotional truth or literal truth? Which is the most appropriate for representing history? And which should be used to depict a moment as shocking, vital and sensitive as the Holocaust? Spielberg picks emotion, and that’s hardly surprising. Spielberg uses such cinematic shorthand in more subtle ways too. In one of the opening scenes, we see Schindler at a Nazi party. He sits at a table, alone and distant from the celebrations. Emphasising Schindler’s eyes by subtly lighting them, Spielberg moves his camera so it calmly and impassively surveys the room, just as Schindler himself is. This isn’t realism intended to objectively capture a fact, but a realignment of the audience’s point of view into something more subjective. The scene forces us to relate to a character who, at this point in the film, is deeply ambiguous: a hero who’s socialising with the enemy. Schindler, like us, is oblivious to the desperation that surrounds him, or at least choosing to ignore it, and his journey through the film’s narrative matches the audience’s as he moves from a position of ignorance to enlightenment. The thousands of words that have been written about Schindler’s List in the years since its release prove it succeeded in that aim and the unexpectedly high box office shows that it did so on a larger scale than highly-regarded documentaries such as Shoah and Night And Fog. Critical masterpieces though those films are, they’re documents more than films: pieces of evidence that are primarily of interest to and accessible to those studying the Holocaust. In other words, they preach to the converted. Schindler’s List, on the other hand, gathers a worldwide congregation and refuses to let them leave the church until they’ve been educated. During times as dire as the ones that inspired Spielberg to make the film, and the ones we live in now, such a vast arena is a vital necessity. By doing this, Spielberg also helped justify his art form. Significant and difficult-to-tackle moments in history, he proved, should not only exist in textbooks and documentaries. Mainstream and, for want of a better word, ‘cinematic’ cinema can illuminate the past just as well as any purely factual film can. Indeed, it may be even better placed to do so, and Spielberg, who’s made a further six historical films since Schindler’s List, with another two to come in the shape of The Post and The Kidnapping of Edgardo Mortara, has done everything in his power to continue to make that case. As the likes of Saving Private Ryan (visually inspired by Robert Cap’’s Magnificent Eleven photographs), Munich (which homages Hollywood’s paranoid thrillers of the ’70s) and Bridge of Spies (which nods to Cold War thrillers and the political optimism of Frank Capra) have proven, Spielberg is still sat behind the same movie camera he was manning in 1982, peering at the world through its lens. But he’s not a kid any more and it’s no longer an act of cowardice. Instead, he’s using it to make a powerful connection to the past and prove that sometimes films can be more than just films. “History opens up new worlds to film-makers all the time,” he said in 2012 while promoting World War I drama War Horse. It does the same for audiences too.